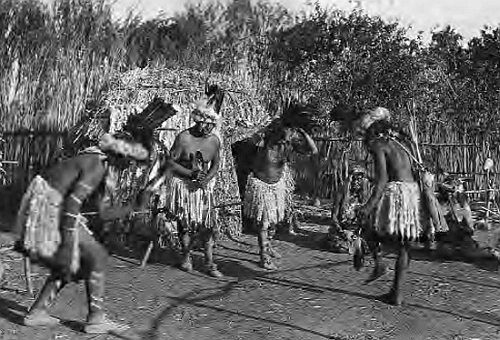 Paiute men of California’s Owens Valley, who have ties to Yosemite, wear ceremonial skirts of twisted eagle down and headdresses made of magpie feathers for a dance staged in 1932 for the World’s Fair. 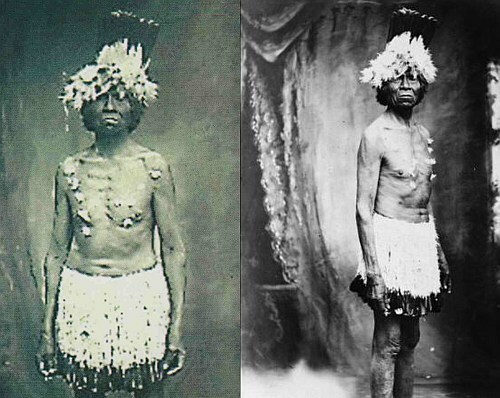 Shell necklaces and face and body paint were usually reserved for dances. The earliest natives of Yosemite mainly wore animal skin breech cloth, leggings, and aprons on a daily basis. 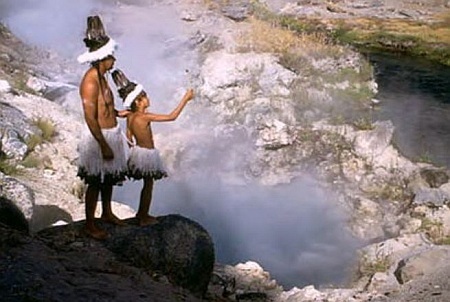 Depending on the local environment many times Paiutes wore clothes and moccasins made of cattail tule. Most Yosemite area women wore basket hats and everyone had rabbit or other type of animal skin robes for the cold days and nights. 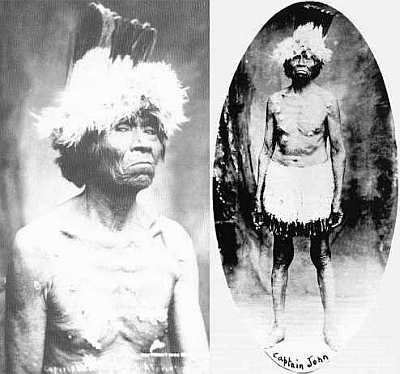 Yokut medicine man wearing the style of men’s clothing worn by early Yosemite Indians. 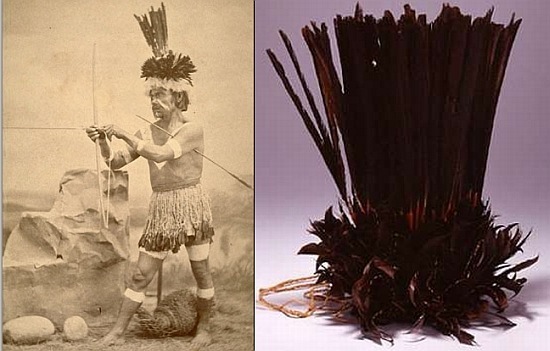 In olden days chiefs wore eagle feathers while medicine people wore magpie feathers. The magpie bird was considered a magical bird to the Paiute people. Men wore shell necklaces, shell earrings and pierced nose ornaments made also of shell. 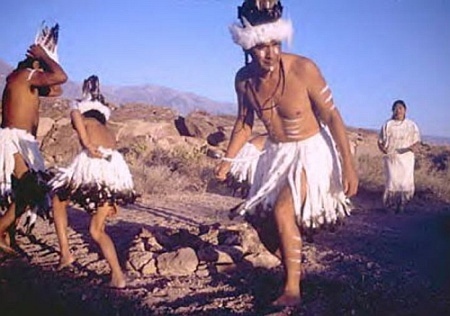 There are Paiute people today living along the eastern side of the Sierra Nevada who still carry on the traditional style of men’s ceremonial style of dress that would have been seen in Yosemite before the first white man entered the valley.